(W) Grant Morrison (A/CA) Dan Mora. 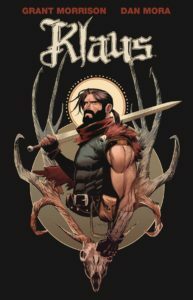 Klaus is “Santa Claus: Year One.” Award-winning author Grant Morrison (All-Star Superman, The Multiversity) and Russ Manning Most Promising Newcomer Award-winning artist Dan Mora (Hexed) revamp, reinvent, and re-imagine a classic superhero for the 21st century, drawing on Santa’s roots in Viking lore and Siberian shamanism. 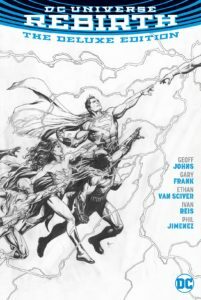 Collects the complete, seven-issue limited series in an oversized hardcover. This Local Comic Shop Day limited edition features unique silver foil stamping and spectrum foil gilding along the edge of the interior pages. Doctor Stephen Strange embarks on the most important paranormal investigation of his career, as he sets out to solve an attempted murder – his own! 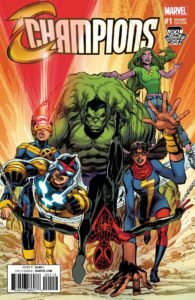 And with his most trusted friend also at death’s door, Strange turns to an unexpected corner of the Marvel Universe to recruit a new ally. 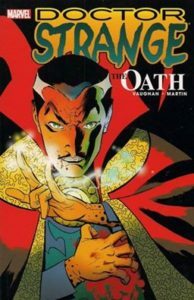 Collecting Doctor Strange: The Oath #1-#5. Six months ago, a secret team of renegade whistleblowers leaked the existence of these extraordinarily dangerous individuals to a stunned world. Today, all across the country, crude, DIY psiot activation attempts have left hundreds brain damaged… or worse. The emergence of a new psiot in a community often leads to riots and mass violence. Gun sales are through the roof. With this revolutionary upheaval now in motion, Kris Hathaway, John “Torque” Torkelson, Faith “Zephyr” Herbert, and Peter Stanchek are about to discover their calling. 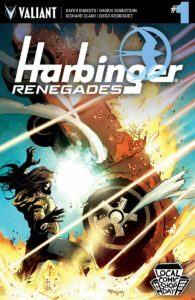 Together, the HARBINGER RENEGADES are moving from town to town, building their ranks, and subverting authority one mind at a time… and setting out to prove once and for all that behind their power, there has always been a purpose. 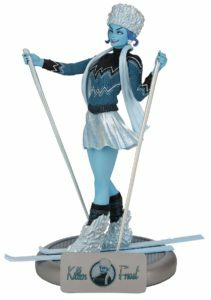 The very cool DC Collectibles’ Bombshells line continues-and there’s no one cooler than Killer Frost! From Archie Comic Publications. “The Nobody Murders,” Part 1. 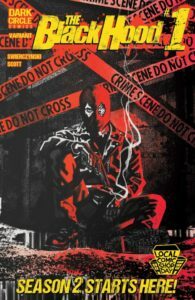 The acclaimed crime comic returns with an all-new #1 issue, the perfect jumping-on point for new readers. The Black Hood is no more. Sure, there are rumors that the former cop known as Greg Hettinger is still out there, blending in with the homeless population, and emerging only to stop a violent attack before vanishing again. But the ruthless assassin known as The Nobody considers the Black Hood a loose end, and he’s willing to slaughter dozens to flush him out. How high must the body count rise before Greg steps forward to face an opponent he can’t possibly beat? From Archie Comic Publications. Hey! Ho! Let’s go! 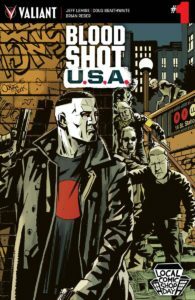 America’s favorite teens cross paths with the original NYC punks in this extra-sized one-shot spectacular that is not to be missed! When the Archies tank at the Riverdale High Battle of the Bands, a magical twist of fate sends them hurtling into the past-and face-to-face with none other than the Ramones! Can the legendary punks get the Archies to realize their own rock ‘n’ roll potential and find their way home? 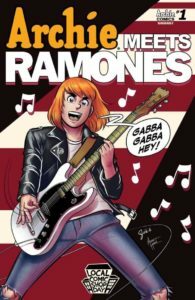 Probably not – but it’ll be a blitzkrieg bop of a journey, as the two bands bounce from 53rd and 3rd to Rockaway Beach in this must-read crossover from the writers of the best-selling Archie Meets KISS and We Can Never Go Home with jaw-droppingly beautiful art from Gisele Lagace (“Occupy Riverdale”)! First Collectible Toy released for Local Comic Shop Day®. Diamond Select Toys. Danger, Will Robinson! The Vinimates line is expanding at an alarming rate! 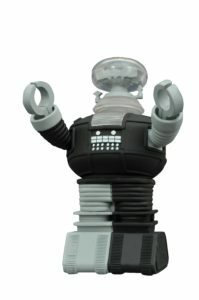 Based on the classic TV series Lost in Space, this 4-inch Vinimates Vinyl Figure depicts the robot B9 in the style of a Minimates block figure, but in alarmed, arms-raised pose, as if warning your other Vinimates of imminent doom! This exclusive variant, made for Local Comic Shop Day retailers, is painted in his black-and-white Anti-Matter color scheme from “The Anti-Matter Man.” Figure is cast in PVC plastic, with detailed paint applications. Packaged in a full-color window box.